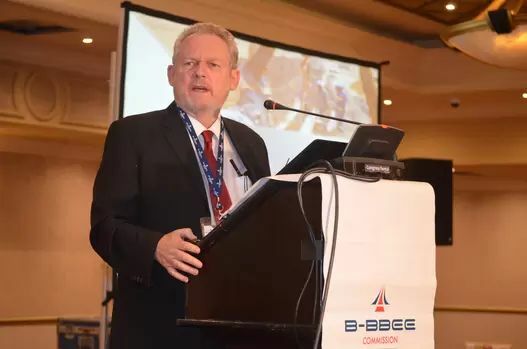 Economic transformation still hampered by B-BBEE fronting: Davies | MD Accountants & Auditors Inc.
Durban – More economic transformation would take place in South Africa when more black people were able to exercise true business ownership powers, said Trade and Industry Minister Rob Davies on Thursday. Davies was speaking at the Broad-Based Black Economic Empowerment Commission (B-BBEE Commission) annual conference at Emperors Palace in Ekurhuleni. The commission is a statutory entity operating under the Department of Trade and Industry as a watchdog over B-BBEE implementation. The 2019 conference explored black ownership and particularly major black ownership transactions – defined as transactions amounting to R25 million or more. The value of the B-BBEE transactions reported in 2017 and 2018 was around R115-billion, said the commission. “In South Africa, too much [black] ownership is not real economic ownership; too often it is only legal ownership,” said Davies. Black people only experienced real ownership of a business entity when they were involved in major decision-making and day-to-day operations, added Davies. These elements had been incorporated into the new B-BBEE scorecards, he said. The intention with the incorporation was to “develop and nurture” new black business owners. Fronting, which had been made a criminal offence through the B-BBEE Amendment Act of 2013, was becoming more sophisticated and complex as entities such as the B-BBEE Commission cracked down on it, said Davies. In terms of the Act, the B-BBEE Commission was empowered to investigate and refer for prosecution any conduct that “directly or indirectly undermines or frustrates” the Act’s objectives. All such conduct was defined as fronting. While fronting was still a challenge to true economic transformation and needed to be “ruthlessly” eradicated, Davies said it was equally important to “identify, support and value those who are doing the right thing” by implementing B-BBEE in the spirit in which it was intended. The B-BBEE Commission will release its first monitoring report on major B-BBEE transactions next month. Minister Rob Davies speaking at the annual B-BBEE Commission Conference.